You will then be prompted for your Borrower Barcode and your PIN. Your Borrower Barcode is your Library Card number and can be found on the back of your library card. It will start with 21365. Your PIN is the last 4 digits of the phone number that you used to sign up for the card with. If you have forgotten your PIN, you can click on the “Forgot my PIN” link as pictured below. This will require an active, accessible email address. 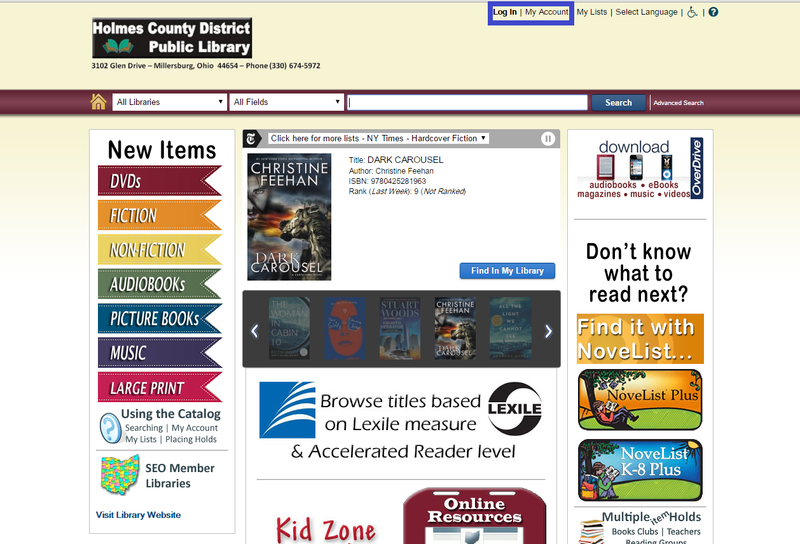 Once you are logged in, you will return to the Catalog home page and it should say “Welcome, Your Name” near the top of the screen at the center, with options to access your account, your lists, or log out. 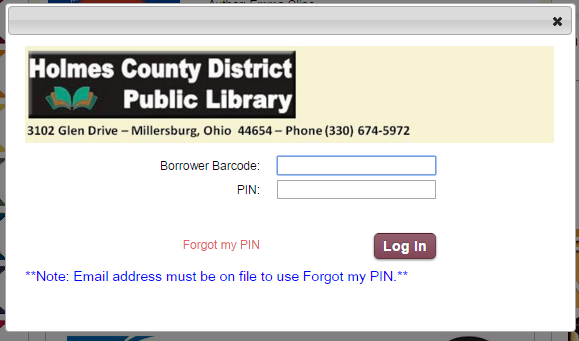 If you are still having trouble accessing your account, please call the library at (330) 674-5972 for assistance. Our Summer Reading programs are officially underway! For children ages 2 – 12. Read, complete activities to earn incentives, tickets for the grand prize drawing and possibly a free book! Stop by the East Branch or Central Library to pick up your packet beginning June 6th. For teens grades 6 – 12. The former Teen Summer Reading Program has changed to the new Teen Summer Challenge! Planning to go camping, take a trip or just hang out this summer? 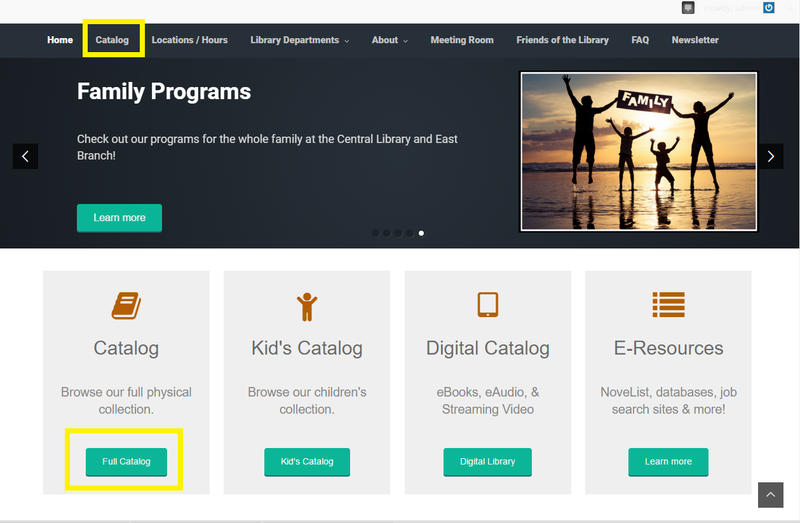 Use library resources to make your plans and earn points for the Teen Summer Challenge prize drawings! Or take the Traditional Challenge and read 5 books over the summer. For more information or to register call the Central Library at 330-674-5972. This summer we invite adults to participate in our Summer Challenge. Instead of a traditional reading program you will earn prize drawing tickets by reading or completing activities (or both!). Fill out tickets, cut out the slips and put them in the prize drawing boxes at Central or East. Branch. You can earn a total of 30 prize drawing tickets (15 tickets for reading books and 15 tickets for completing activities). Once you’ve filled out and turned in all the tickets in this booklet you’ve finished the Summer Challenge! We encourage you to try something new this summer but activities can be anything from a road trip to taking your dog for a walk. Choose from activities listed in the summer challenge log.